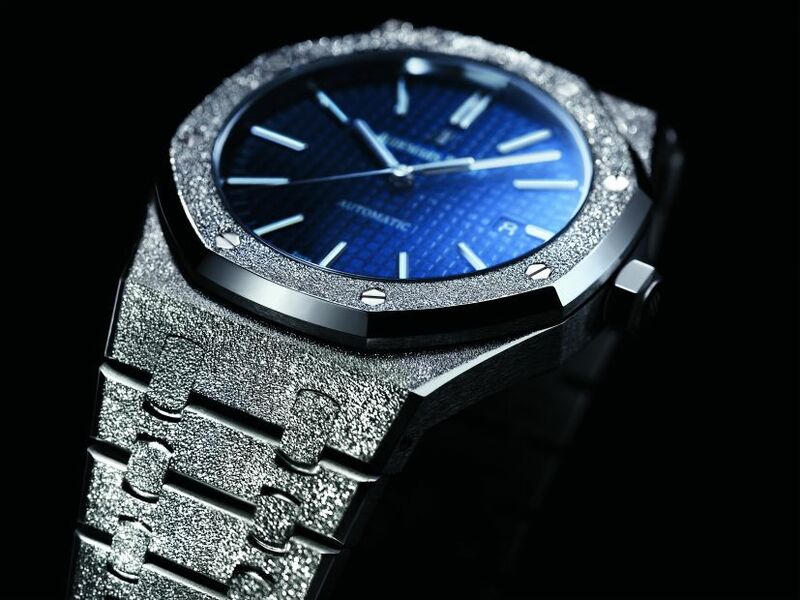 The Florentine finish adorning the Royal Oak Frosted Gold is a textured surface decoration on precious metal invented decades ago, predominantly on smaller jewellery pieces. By beating the gold with a diamond tipped tool, it created tiny indentations on the surface that gave a sparkle effect similar to that of precious stones, like diamond dust. The case, in 18kt white gold, measures 41mm. 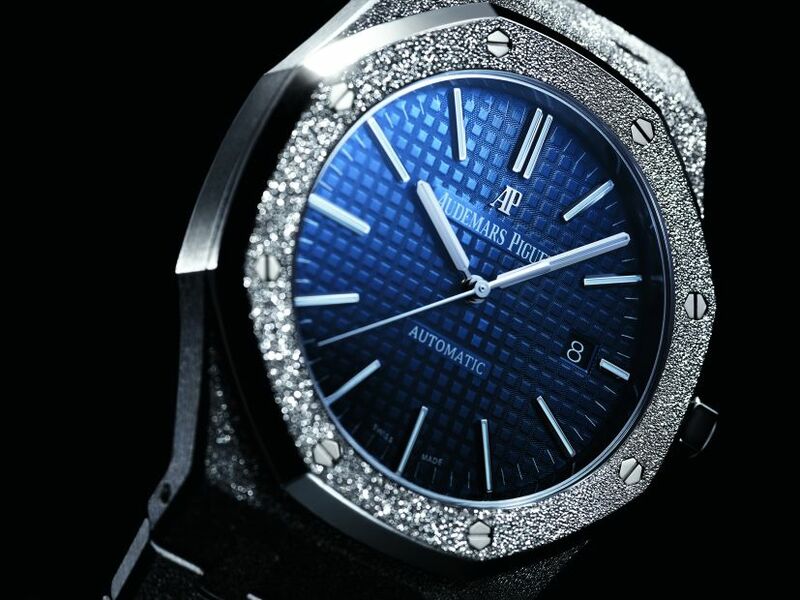 It has an AR-coated sapphire crystal, a sapphire display back, and it is water resistant to 50 meters. Movement is the Swiss automatic Audemars-Piguet in-house caliber 3120 with 40 jewels, 21,600 vph and a power reserve of 60 hours. Functions are: hours, minutes, central seconds, and date. 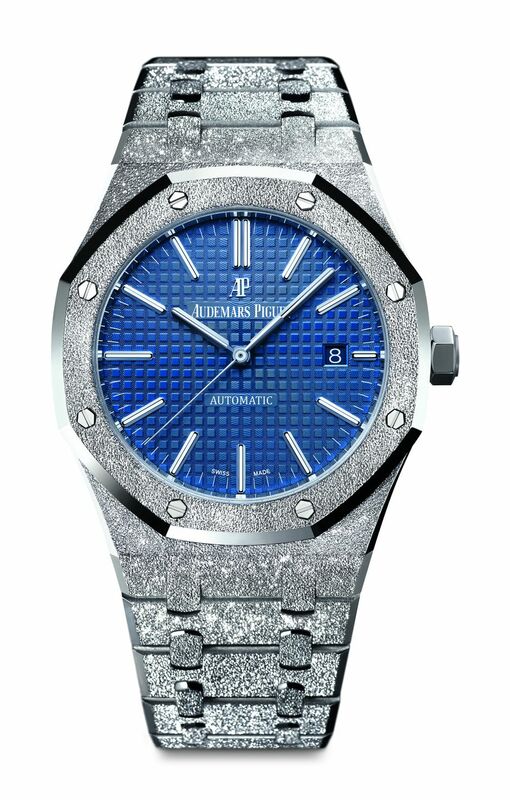 It has a blue Grande Tapisserie dial with white gold applied hour markers and luminescent hands. It comes on a hammered 18kt white gold bracelet with folding clasp. Thanks for the info Jorge and TZ.